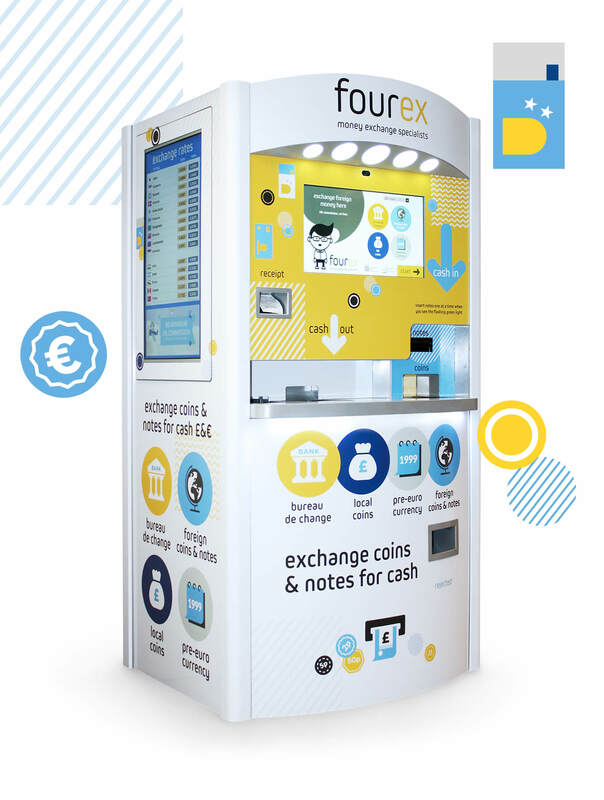 Fourex initially approached ifour with a brilliant idea, a self-service multi-currency exchange kiosk, but no branding or website, just their name. On the verge of launching their first permanent kiosks, Fourex knew they needed branding that would stop customers in their tracks and to simply explain their innovative product. The same could be said of the website as many potential customers may meet them through the website first. Working alongside Fourex from the beginning, ifour has helped the company grow from an innovative start-up to the successful business they are today. 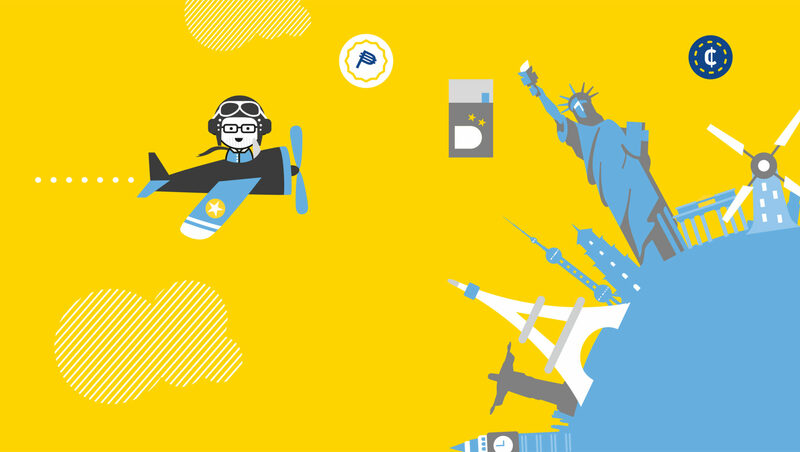 Having grounded the relationship in informed research and exploration to create the brand, ifour has acted as brand guardian whilst the company continues to grow, with each new requirement featuring an element of continual brand development. 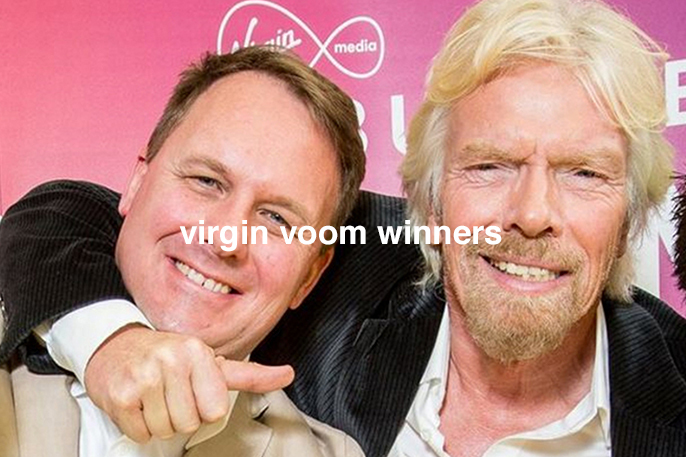 Supporting key opportunities such as the Virgin Business Pitch to Rich competition and crowdfunding enabled progress for the main business objectives, enabling growth and increased brand awareness. 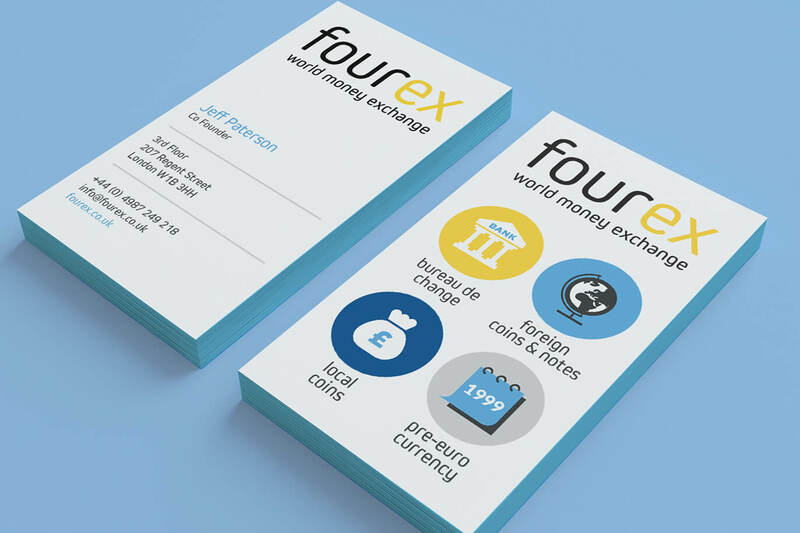 ifour created a flexible, clean brand that would be appropriate in a range of global settings, looking ahead to future growth. By creating a friendly, approachable mascot in the form of Freddy, the brand is easily explained through an animated process on the website. A simple animated explainer video introduces the benefits of using a Fourex kiosk, which was used as part of the crowdfunding activity through Crowdcube. Behind the scenes, the website automatically updates the exchange rates on the currency calculator and shows kiosk locations with a branded Google map fed in by API. To support the growth of social media audiences, ifour ran 6 months of social media campaigns to reach key audiences on different channels and created a wide range of content to deploy on the Fourex website, driving traffic, brand awareness and engagement. Fourex has continued to grow as a business whilst being recognised by a range of awards and industry experts, including winning the Virgin Business Pitch to Rich 2015 competition, being awarded The Lloyds Bank National Business Awards 2016 Entrepreneurs of the Year and recognised by the Financial Times and Mishcon de Reya for the 2017 Leap 100, the 100 most exciting and fastest growing companies in the UK. Using the video ifour created, Fourex were able to successfully crowdfund their £275k target through Crowdcube in just 8 days. In just under three weeks they raised over 244% of their target, and with a whopping £673,000 of investments, the opportunity was closed. 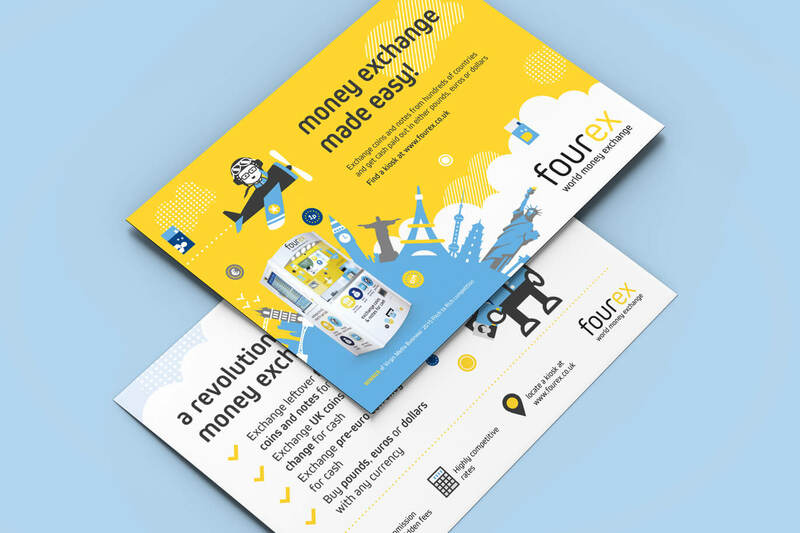 Crowdcube have told Fourex it was one of the most successful campaigns they have ever had.